Gardeners have an appreciation of time. We enjoy capturing snapshots of Mother Nature doing what she does best; a bee buzzing on our sunflowers; a pumpkin changing from yellow to orange; or just the chorus of early morning birds whistling through our allotment patch. Experiences we never take for granted. But although we might relish these moments, the garden is ever-changing, it refuses to stand still. As I said in my previous post, we enjoy being in the moment, yet we always have one eye on the forthcoming season. Whether it’s sowing seeds for spring, or prolonging crops to be enjoyed on a cold winter’s night, we try to prepare ahead. With the sun shining, crops are looking their finest, and for many, harvesting has begun. 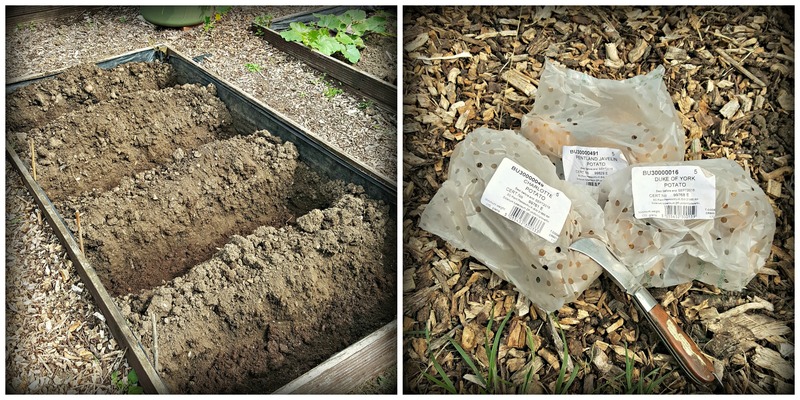 From French beans to red onions, it’s finally time to reap what we’ve sown. As we pick our finest veg, it seems strange to think about planting Christmas potatoes. Some middle-aged men get their thrills from jumping out of a plane, absailing down Mount Everest in a thong, or wrestling a shark in a tuxedo over a game of poker. For me however, it’s sitting down on Christmas day with a platter of vegetables grown by yours truly. I really do live life in the fast lane. As Daniel Craig steps down, could I be the next James Bond? It’s about time they had a spy that’s lethal with a trowel. Anyway, I’ve got most of my winter veg in the ground. Red and green sprouts, swede, red cabbage, leeks and Tundra cabbage. I also have broccoli, but they’re not quite ready for the plot, so they’re currently basking in the greenhouse. So with all these potential Christmas platter guests, it would be rude not to invite the party animal himself, the common spud. Last year, my Christmas spud of choice was Charlotte. 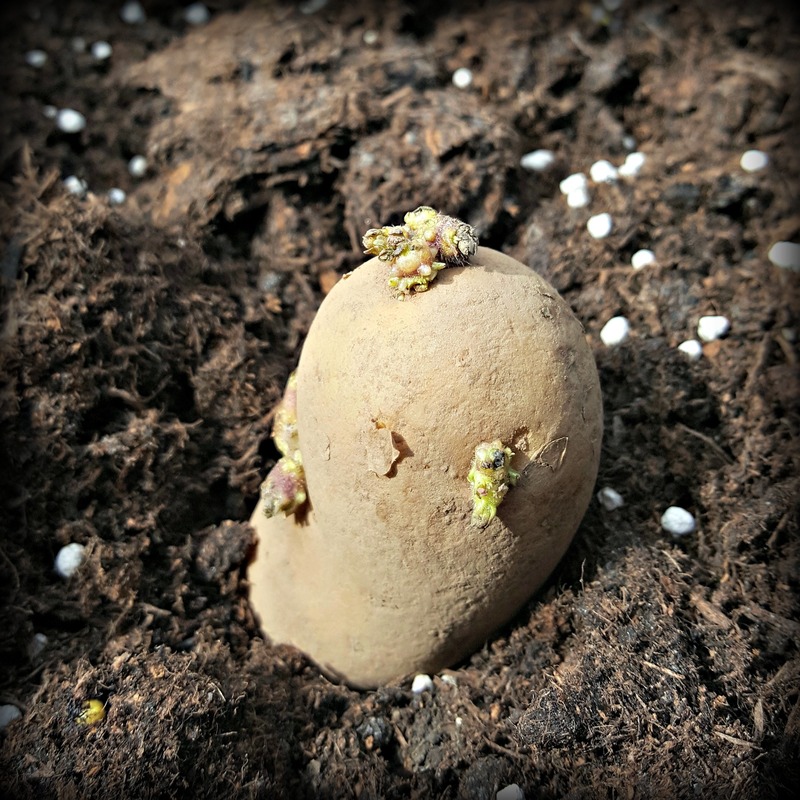 With no scab, a great taste and plenty of medium sized potatoes to dig up, I’m once again going to grow this variety. However, this year I thought I would also try Duke of York and Pentland Javelin. Both varieties are suppose to cope well with the colder climate. I always either fleece or net my spuds, once the weather turns chilly, so I’m hoping for great things in these varieties. 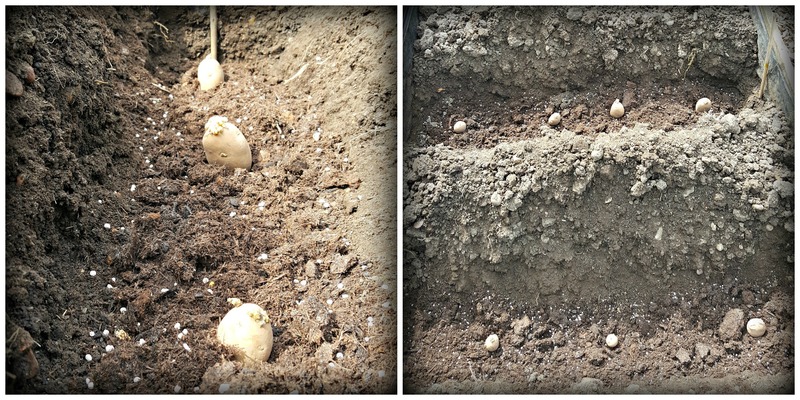 Unlike your first or second earlies, there’s no need to seed these potatoes. As we’re in the height of summer, the ground is warm and will quickly get them producing shoots. Once the trenches are dug, I always add a little compost at the bottom plus a sprinkling of dressing, just to give them a boost. Then, as I cover them over, I like to give what I call the ‘turd’ sandwich (classy I know). First, I cover them with a layer of soil, then a thick layer of well rotted manure, then to finish it off I add another layer of soil. With them well watered in and labelled, it’s just a question of time, keeping them weed free and watered. In other news, it looks like the Invasion of the Triffids has finally ground to a halt, thankfully. 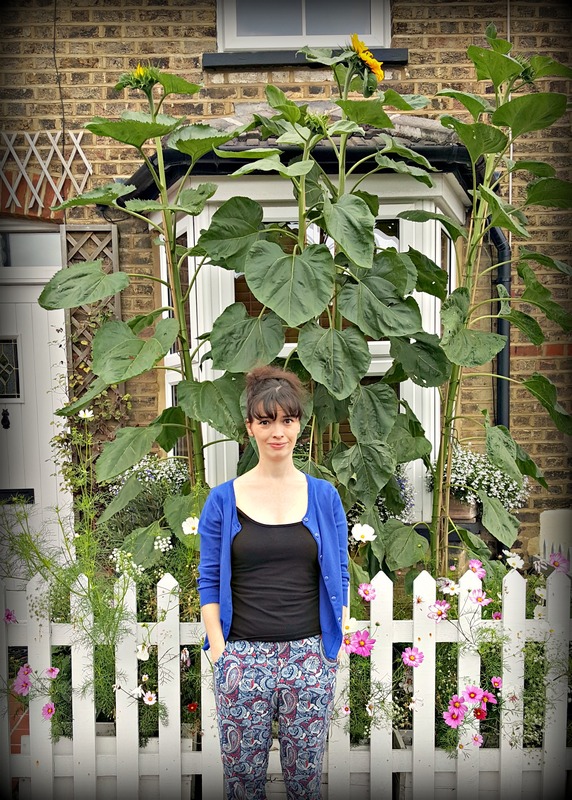 I previously wrote about planting the wrong variety of sunflower in the front garden. Well, the flower heads are finally opening, and at a height of nine plus foot Agent Soph is utterly thrilled to have these beasts obscuring her front window. Hmmm, maybe I should double check my labels next year. No one should have to face the wrath of Agent Soph. Good luck with the spuds. I would heartily endorse a gardening James Bond. The closest I’ve found was “Rosemary and Thyme” but that’s been off the air for years. Maybe I’ll bang out some scripts and send them off to whoever it is that is no doubt anxious to receive them. I love the idea of a Bond villain using a garden shed as his evil lair!